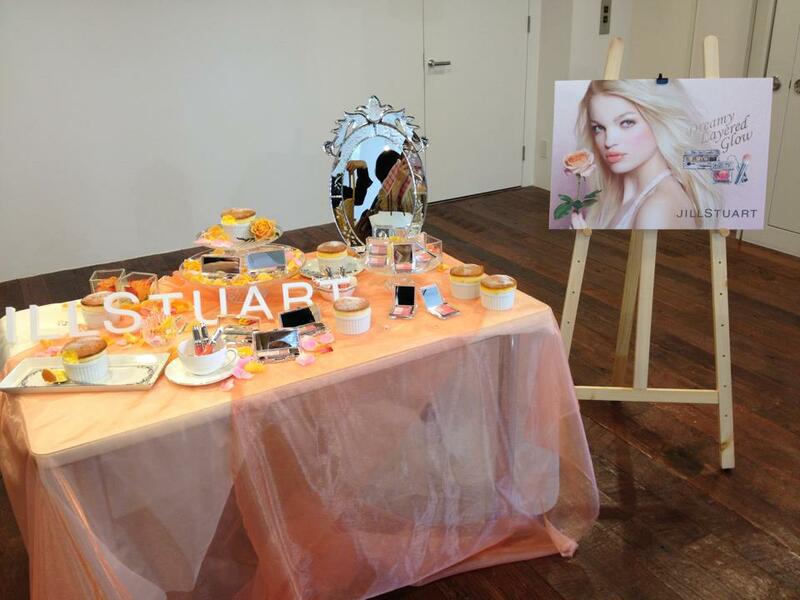 Jill Stuart will release its Spring 2013 collection "Dreamy Layered Glow" on 11 January in Japan. 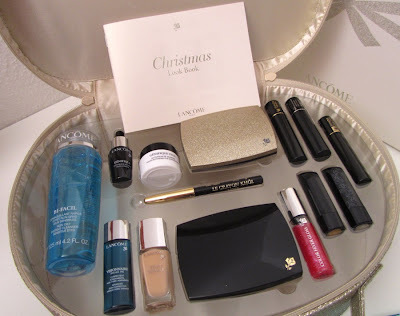 It looks like an extensive collection with five eyeshadow quads, several blushes, nail polishes etc. The second part of the collection will be released on 15 February but there is no info yet on which products are slated for February. Pics below from Sweet. Pic below by the Frau editor. 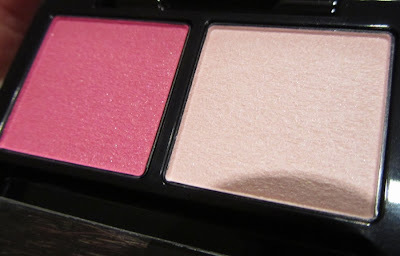 There will be a new Layer Blush Compact, which has a ultra light and soft souffle-like texture in primarily pink tones. The blush surface features a different embossed pattern from the Mix Blush Compact. There are also new variations of the Mix Blush Compact. 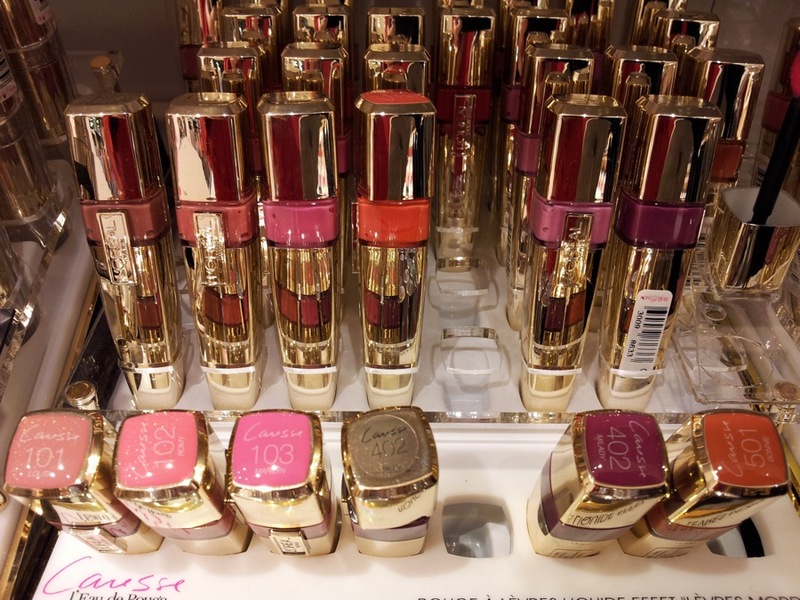 The nail polish range will be revamped for the second time. 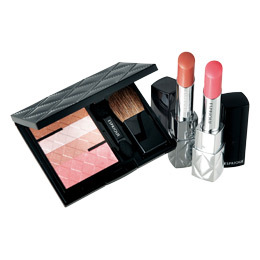 The new line-up features 20 shades with a new crystal-embellished packaging. 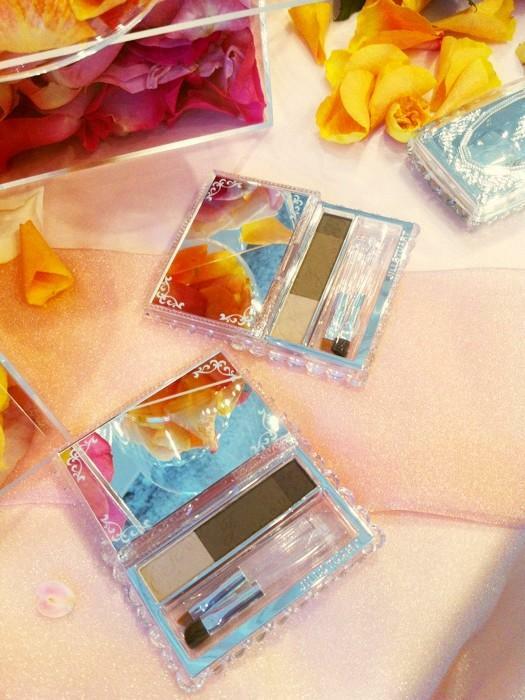 New eyebrow powders in a sliding compact. 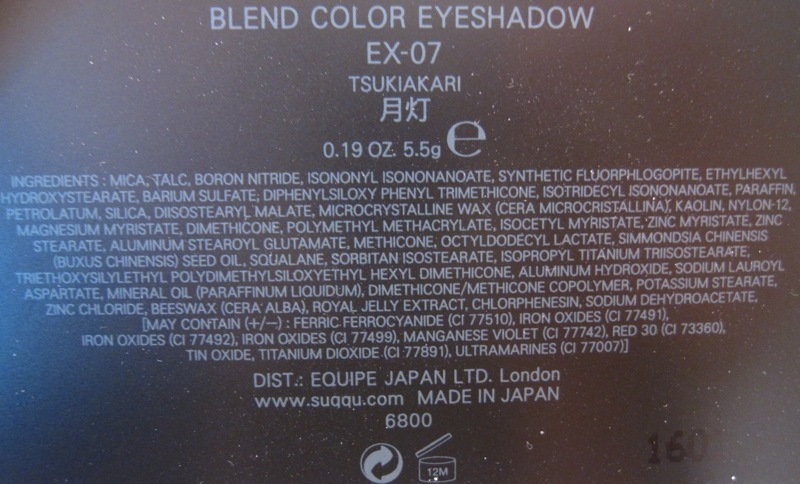 Back in September, I picked up Suqqu Blend Color Eyeshadow EX07 Tsukiakari, Gradation Cheeks EX02 Mizumomo and Chiffon Feel Loose Powder from the autumn collection. All three are limited edition and purchased at Selfriges in London. 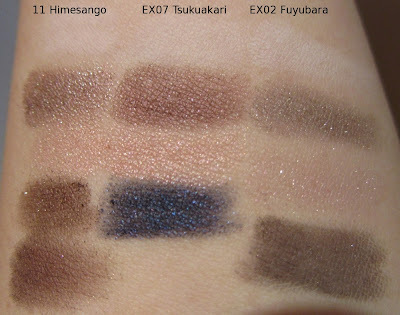 The three Blend Color Eyeshadow palettes released for autumn feature three powder eyeshadows and a cream eyeshadow that can be used as eyeliner or creating a gradation effect. The eyeshadow powder particles are coated with silicone for an extra smooth finish. 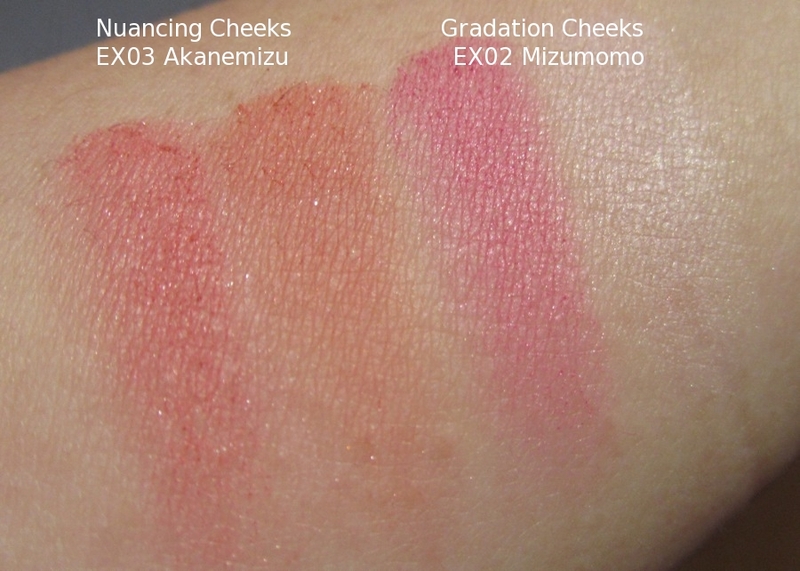 The top left shade is the Light Color (Pearly) for an illuminating effect, top right is the Arrange Color (Pearly) for adding dimension, bottom left is the Deep Color (Creamy) and bottom right is the Pearl Color (Matte). 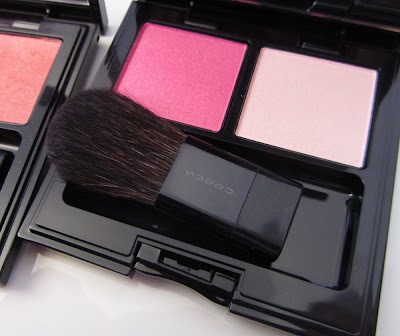 The matte shade contains the most finely-milled powders in the quad, with a soft focus nylon-12 powder that diminishes the appearance of fine lines. 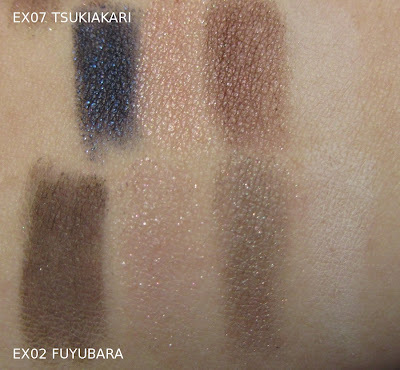 Tsukiakari features a smoky navy blue cream shade, which has some shimmer particles that can be seen in the swatches below but these aren't visible when applied on the lids. 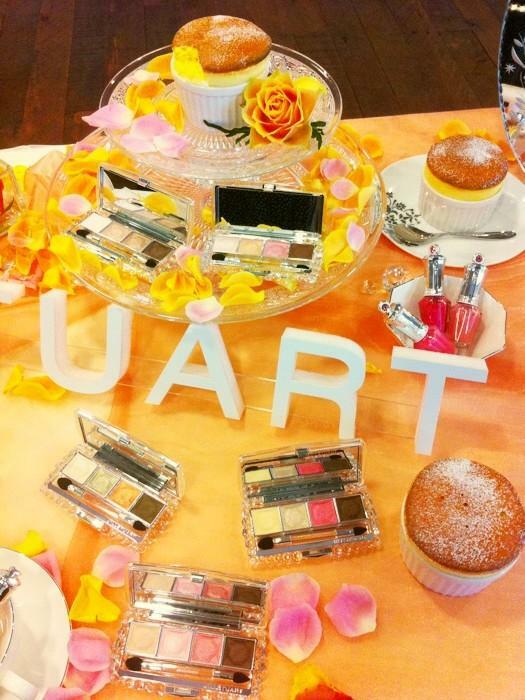 The powder shades are the usual white, pearl beige and taupe brown combination that Suqqu is extremely fond of, with infinite subtle variations across the seasonal collections. 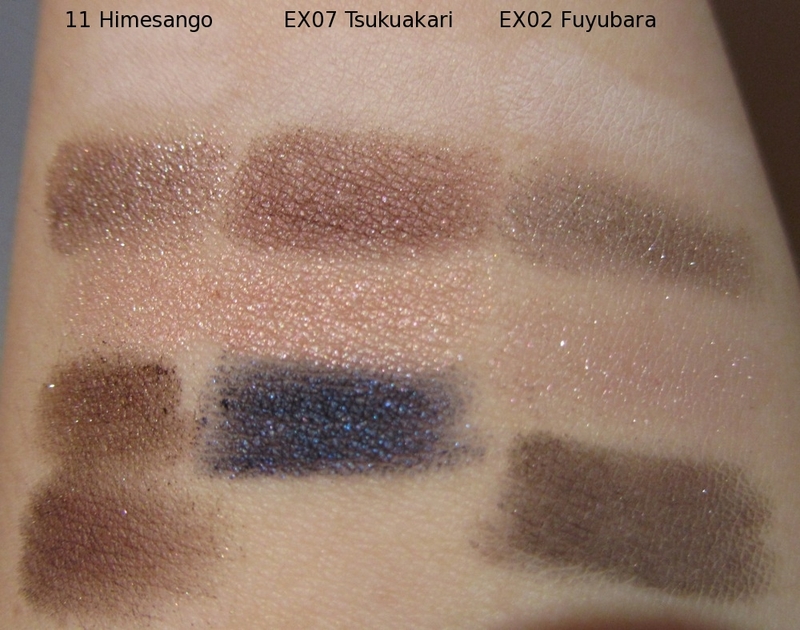 My current collection of Suqqu quads: (from left to right): #11 Himesango (Spring 2012), EX07 Tsukiakari and EX02 Fuyubara (Holiday 2010). Swatches on bare skin without any primer. There are some tonal differences between Himesango and Tsukiakari but these are pretty subtle. The shades in Tsukiakari have better payoff than Fuyubara. 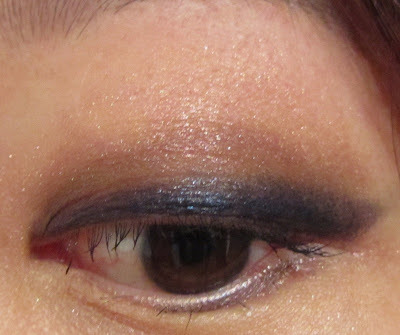 The navy cream shade applies quite smoothly but it does require some layering. It doesn't set to a budgeproof finish though, as some product came off on my eyelash curler, necessitating a touch-up. Nevertheless, it actually lasted quite well over eight hours of wear without transferring. 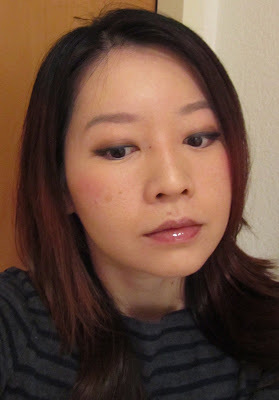 I'm usually not a fan of cream shades in a palette, but Suqqu has done a pretty decent job with this one. The navy cream helps to add definition. Otherwise, the powder shades look rather lifeless and pedestrian on their own. It's a fail-safe combination suitable for everyday wear. 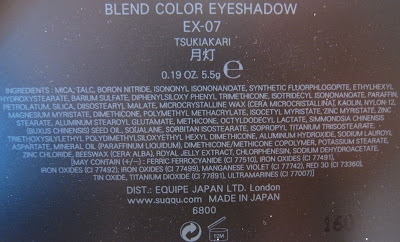 While I can see myself getting quite a lot of use out of Tsukiakari, I'll probably skip the upcoming holiday sets. The paler shades always look so pretty in the pan but on my skin, they tend to get washed out. 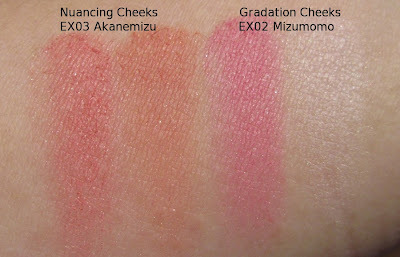 Of the two blush duos in the autumn collection, I selected Mizumomo as it showed up much better on my skin than EX01 Mizudaidai, a beige/peach combination. 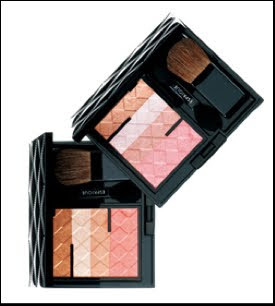 The two shades glisten softly when under a bright spotlight but on the skin, the finish does not look shimmery or frosty at all. 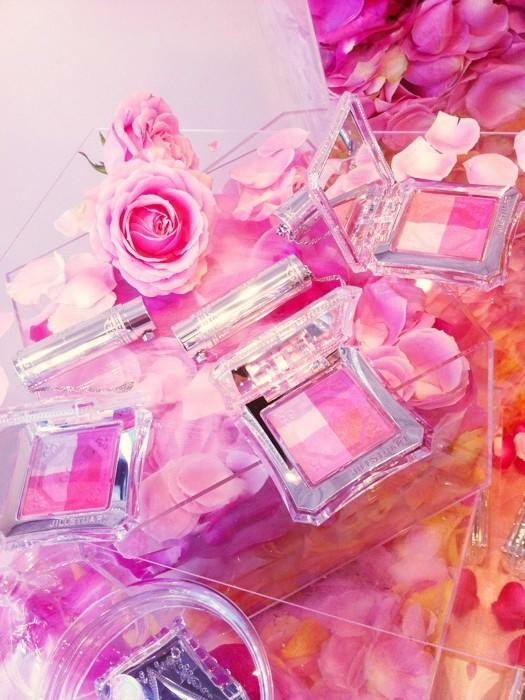 The pink shade gives the cheeks a lovely tint of color while the pinkish white shade can be layered on top to sheer it down with a subtle glowy effect. Compared with Nuancing Cheeks EX03 Akanemizu (from the Spring 2012 collection), Akanemizu is the more versatile of the two as the pinkish white shade in Mizumomo doesn't really do much for me. As usual, the exquisite quality of the brush with its sleek lacquered handle puts other luxury brands like Chanel truly to shame. 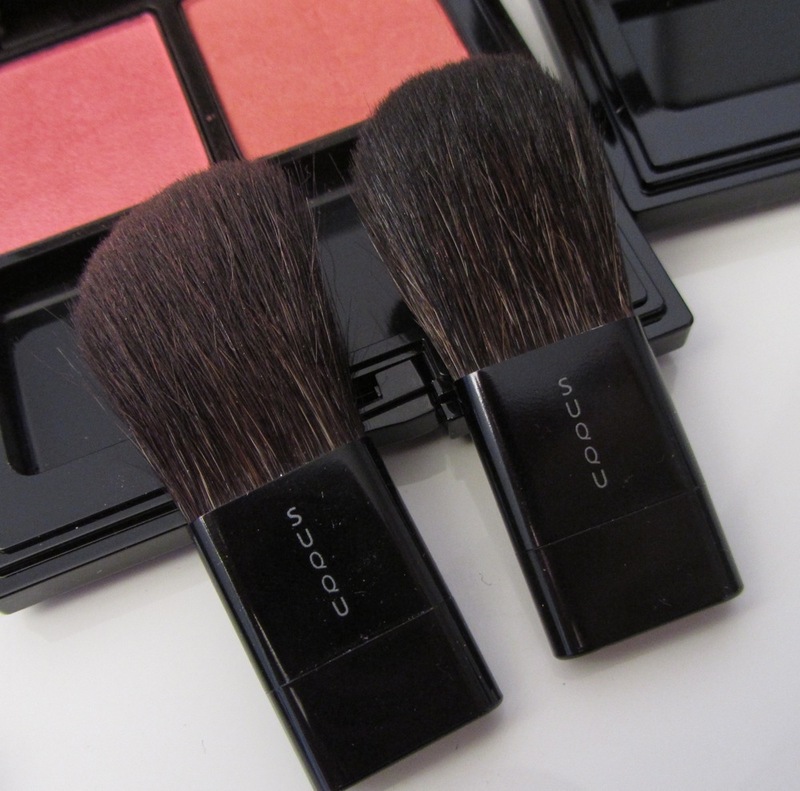 The brush in Mizumomo has a rounded shape, which is different from the brush included in Akanemizu. 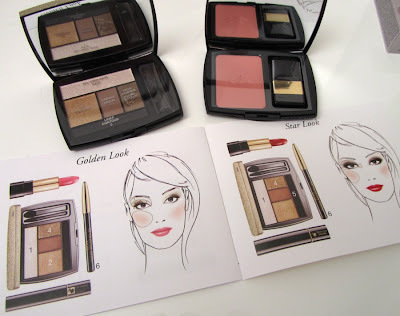 Both work well in depositing and blending the colours. 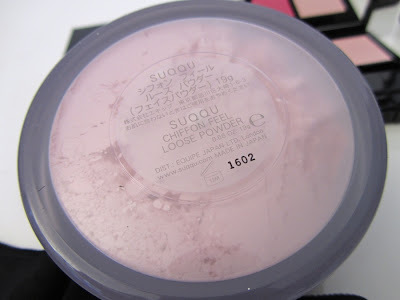 The Chiffon Feel Loose Powder is a pale pink powder that is supposed to help brighten the skin while concealing pores and improving the skin's texture. 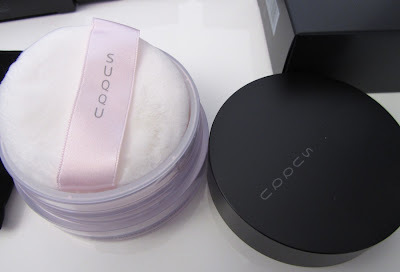 This felt very silky and finely milled when I tested it at the counter, but I haven't started using it yet. The cotton puff is dreamily plush and soft. The amount of product is also generous at 19g. 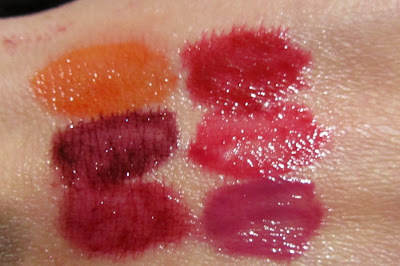 For swatches of the Addiction and Three holiday coffrets, do check out this MakeupAlley post. 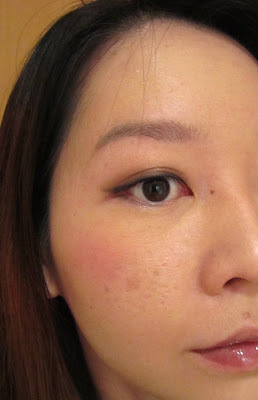 The marvellous Kate over at Drivel About Frivol has posted swatches of the Suqqu and Shu Uemura holiday collections. The Umeda Hankyu store in Osaka has a Shu Uemura Mon Shu Girl UFO-catcher machine! Pic tweeted by Shu Uemura Japan. 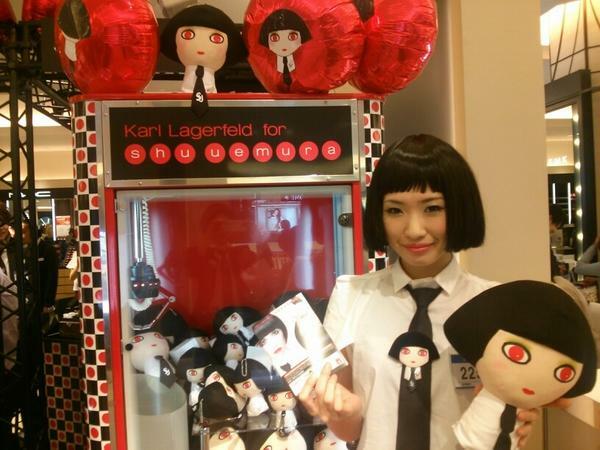 Video footage from the press launch in Paris and the shooting of the ad visual featuring Japanese model Tao Okamoto. The new Mid-Autumn issue of Kose Precious Beauty showcases the upcoming winter collection by Esprique, which will be released on 16 November in Japan. 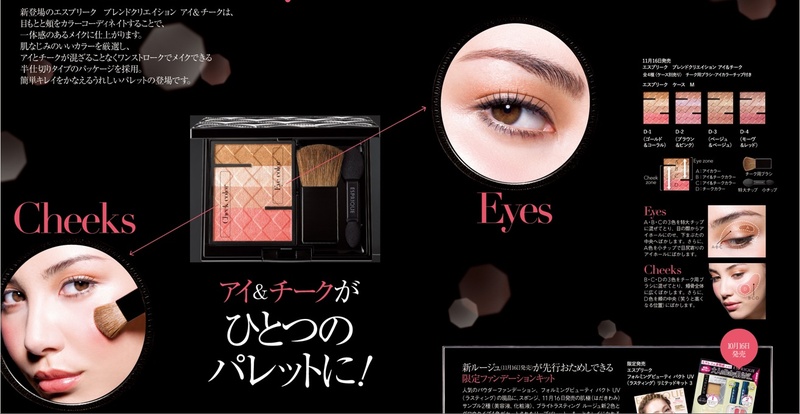 Continuing their "one stroke" makeup philosophy is the new Blend Creation Eye & Cheek (2625yen) in four variations: D1 Gold & Coral, D2 Brown & Pink, D3 Beige & Beige and D4 Mauve & Red. 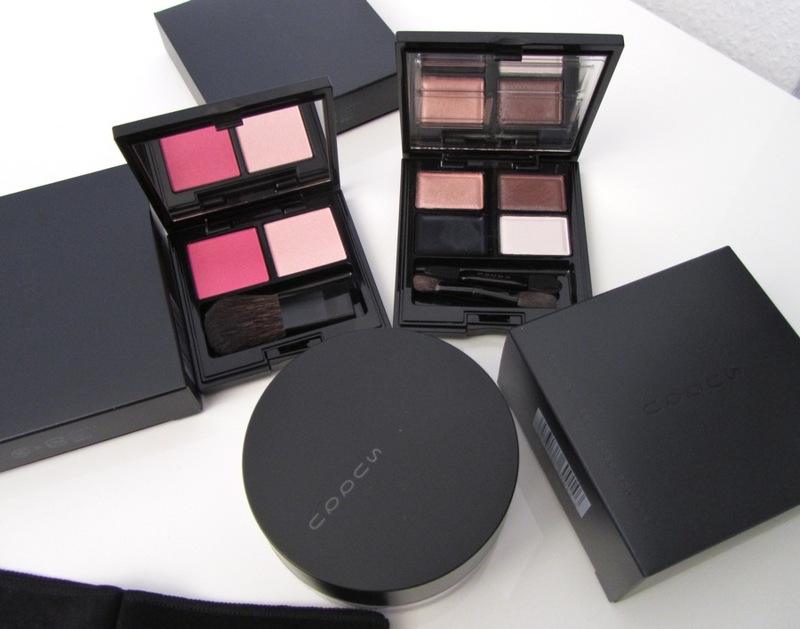 Each palette contains 4 shades, of which three can be used as eyeshadows while the middle two and leftmost shades can be used as blush. 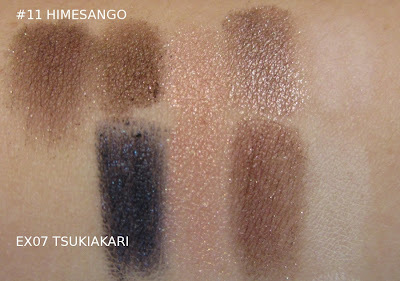 For the eyes, it is recommended to blend the three eye shades over the eye socket area and then use the darkest shade to shade the outer half of the crease. 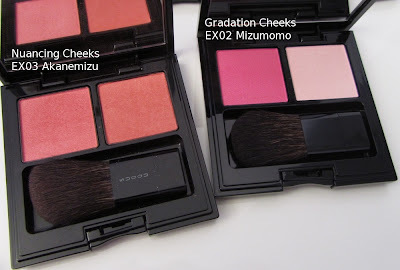 For the cheeks, it is recommended to blend the three blush shades all over the cheeks and then use the leftmost shade on the apples of the cheeks. 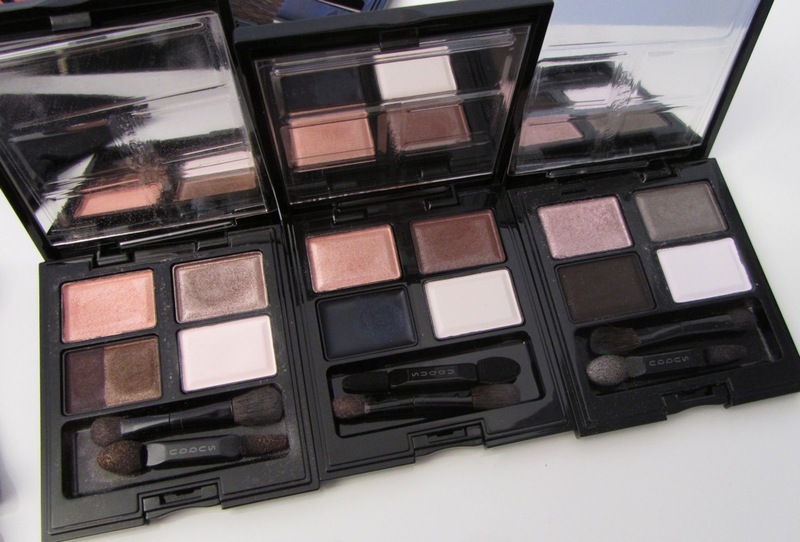 See a real-life pic of D1 here and a pic of three of the palettes here. There will also be a new Bright Lasting Rouge (Glow) (2625yen) in 8 shades, as shown in the left side of the pic below, plus two new shades of Bright Lasting Rouge (top right corner). See more pics from the store tester and pamphlet here. 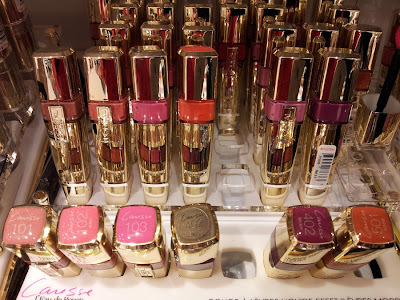 YSL has just released six new shades of their popular Rouge Pur Couture Vernis À Lèvres Glossy Stains. 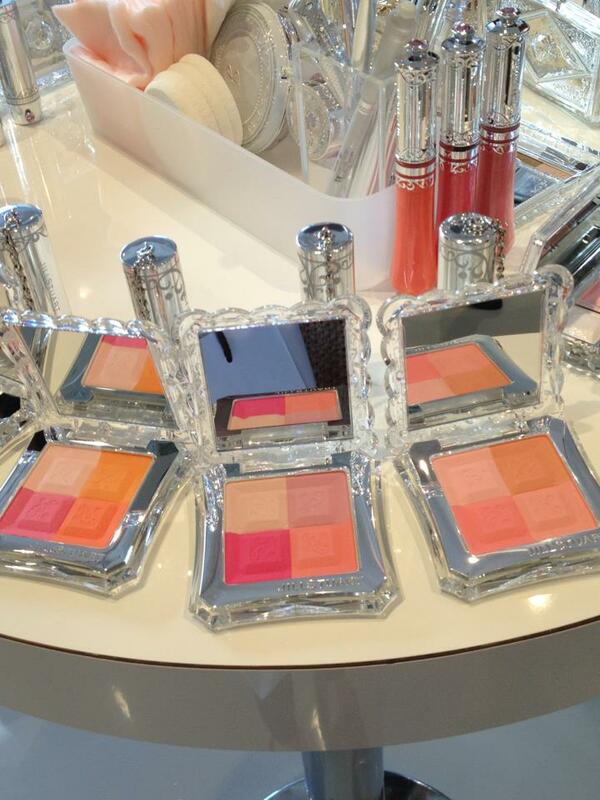 I found these at Sephora in France earlier today. 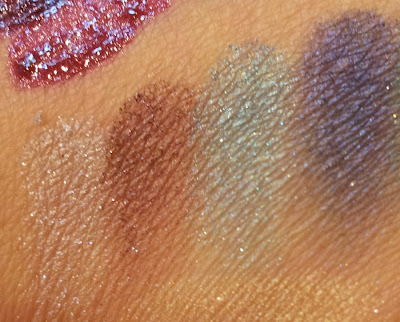 The swatches are a bit messy as they had been on my hand for three hours, and got accidentally swiped by my mother's jacket sleeve. There's a bit of bleeding into the fine lines, but they still retained their trademark glossiness. I like #24, #25 and #26, but I already have four Glossy Stains that need to be used more frequently so I didn't purchase any of the new ones. 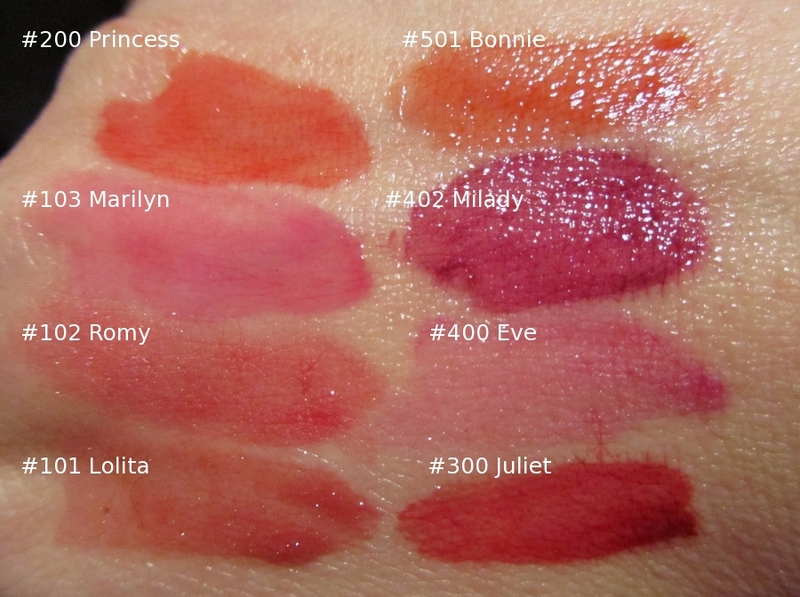 You can see swatches of #1-#19 in this earlier post. 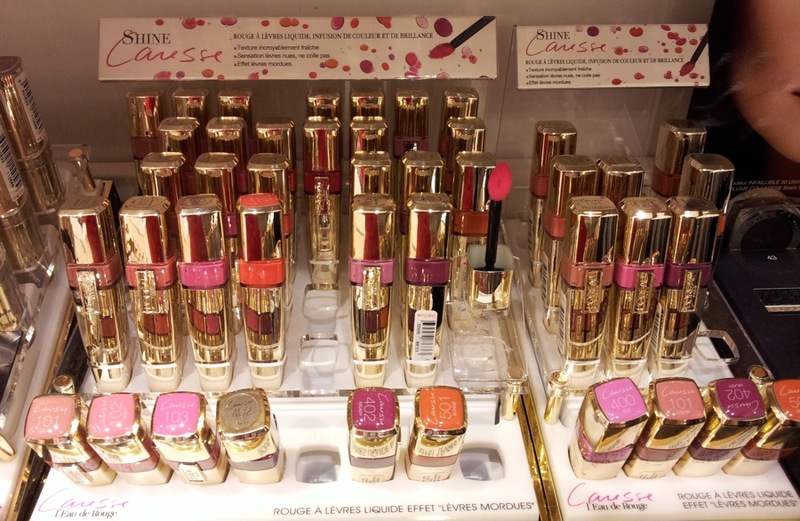 L'Oreal Paris (which owns YSL Beauté) has just released a more affordable version called Shine Caresse which costs €14+ versus €29 for the YSL Glossy Stain. The applicator has a similar oval shape. According to this MakeupAlley post, the ingredients are almost identical for the two products. The texture does feel similar to YSL Glossy Stain but most of the Shine Caresse shades are more sheer and require quite a bit of layering to build up the colour. 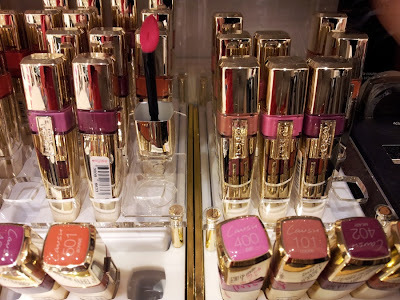 Personally, I'd rather save my pennies for the Glossy Stains since the Shine Caresse aren't exactly cheap. 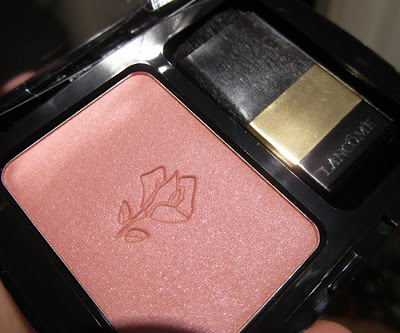 #402 Milady was my favourite out of the 8 shades available for Shine Caresse. I found these at Monoprix in France. Below are swatches of the YSL Boréal Palette Collector Nuit Arctique which comes in a silver sequin pouch. 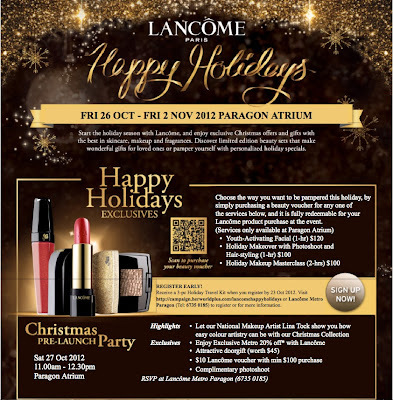 This is part of the holiday collection. 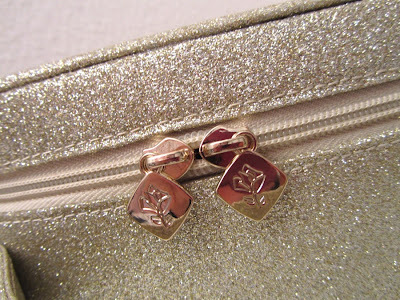 Here's a sneak peek at what the ever creative folks at Paul & Joe have up their sleeve for Spring 2013. 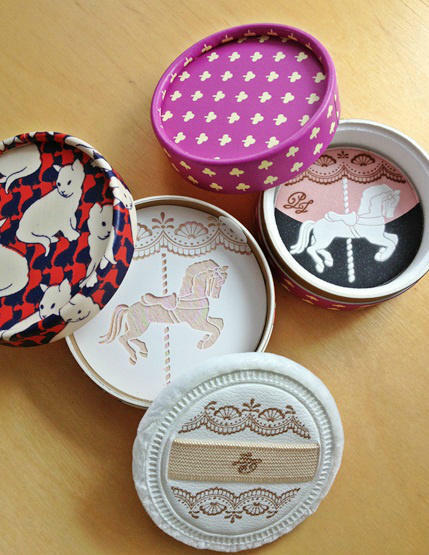 The carousel-themed collection will debut on 4 January in Japan. 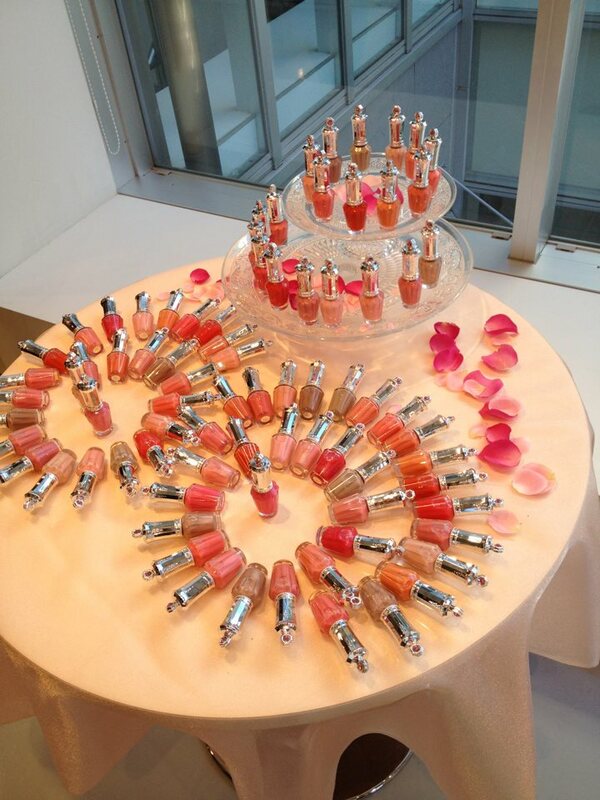 (Pic tweeted by Tomoichi.) Featured in the photo are an eye color and a pressed face powder. 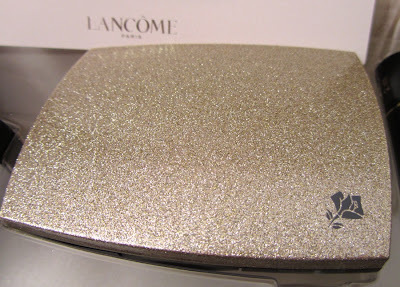 The printed detailing on the powder puff is lovely but it looks like the horse pattern on the face powder is the plastic separator, and not embossed on the powder itself. It's a bit of a mismatch with the feline print on the case. 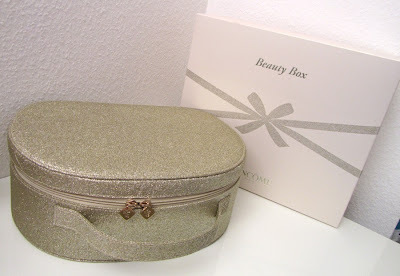 The holiday collection is now available on BeautyBay.com and ASOS.com. Both sites offer free international shipping, with BeautyBay offering slightly lower prices if you are located outside of the UK and EU. 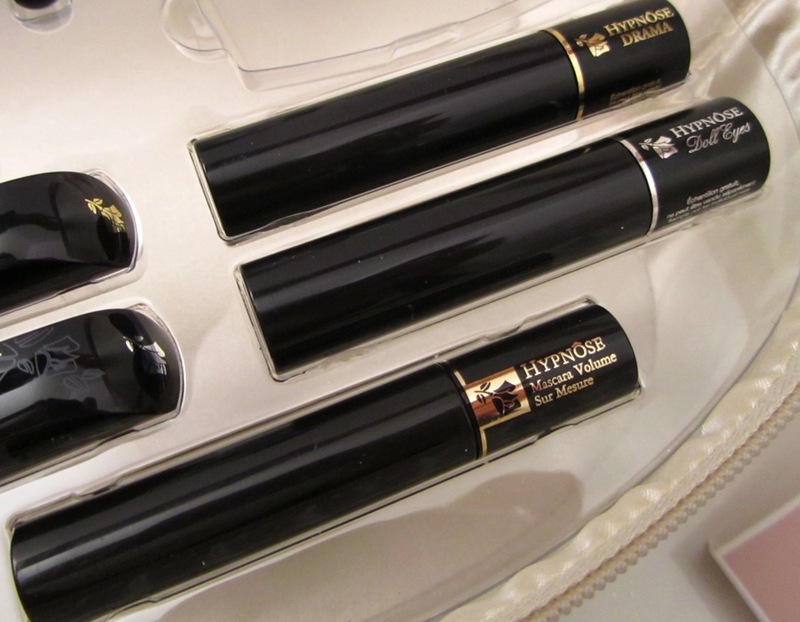 One of my earliest makeup memories is watching my mother purchase an Elizabeth Arden blockbuster set during our first family holiday in the US. It served her well as she used that set for years and years. 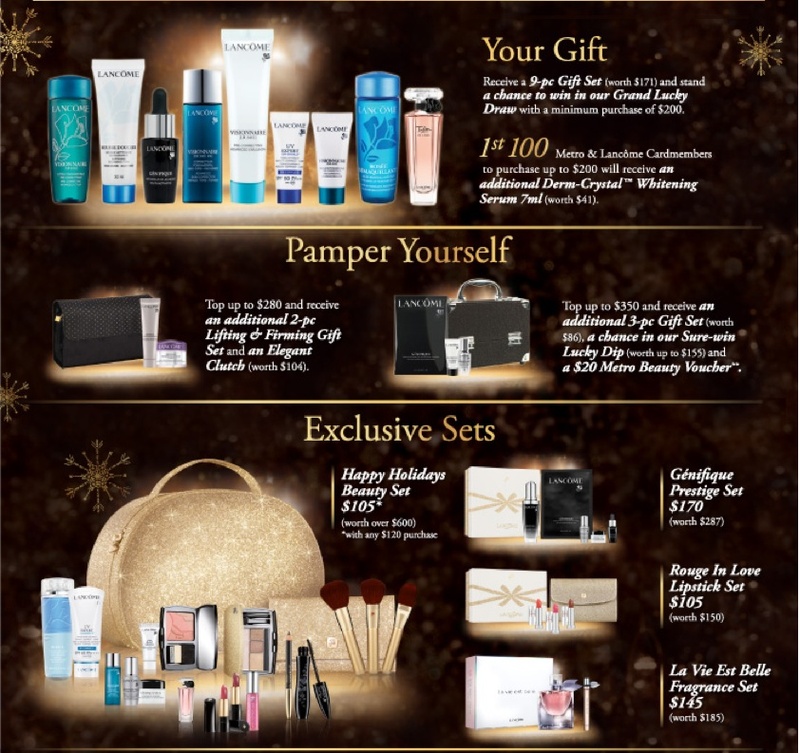 When done right, they make the best gifts. At Globus department store, I came across this delightful Lancome Beauty Box which featured a glittering gold case filled with the brand's bestsellers. This set was retailing at CHF99.90 (S$130) but I was able to get a 10% discount with the carpark coupon. 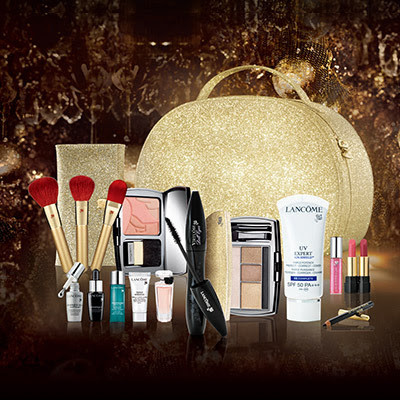 It was worthwhile for me as virtually every product in the set is something that I will use or have used before. 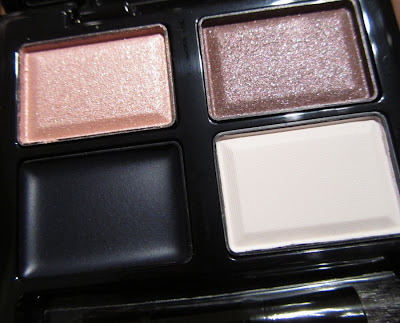 What drew me to the Beauty Box was the inclusion of the Color Design Eye Brightening All-in-One 5 Shadow & Liner Palette #103 Golden Frenzy, which is made in Canada. 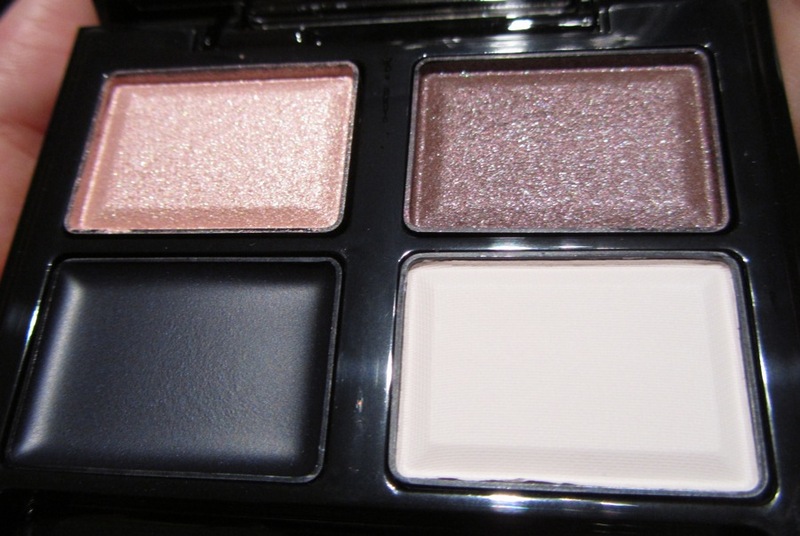 The Color Design palettes are sold only in the US and Canada, and are not available normally in Europe or Asia. 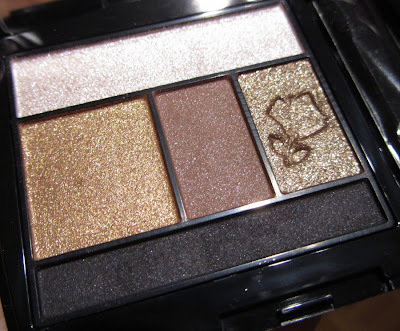 Golden Frenzy is part of the permanent line in the US, but for this Beauty Box, the palette has a golden lid. The palette included in the set for Japan and Singapore is also named Golden Frenzy but it looks like the Ombre Absolue Impact 3D version which is made in Japan (the layout is similar to Color Design but the size of the pans is slightly different). 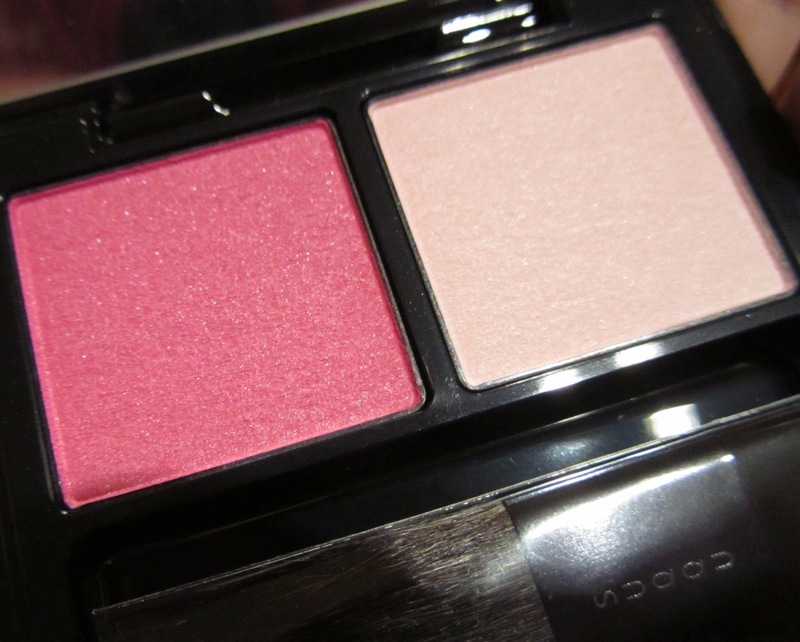 Ombre Absolue usually retails for S$90 in Singapore while the Color Design palettes are US$49 in the US. The set comes with a booklet showing three looks: Doll Look, Golden Look and Star Look. 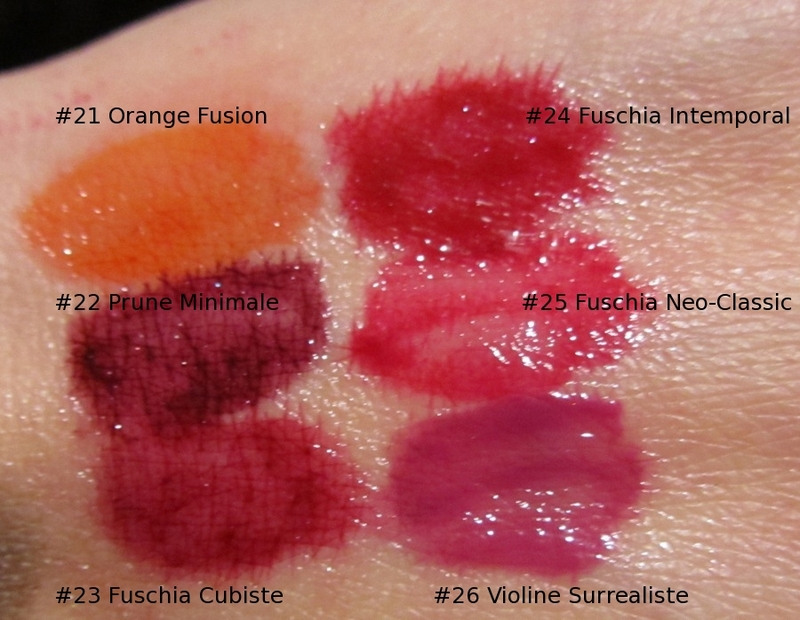 Also included is a full-size Blush Subtil 02 Rose Sable (6g). 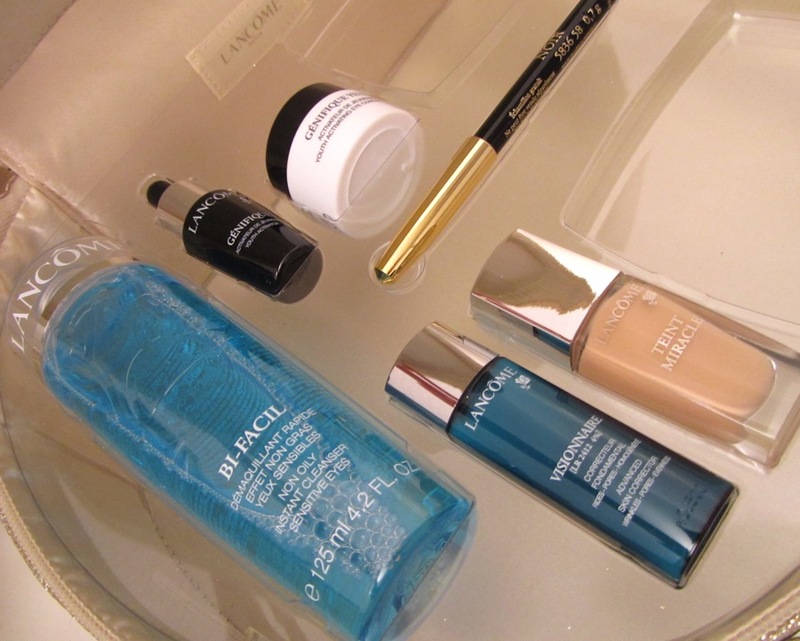 Skincare samples of Genefique, Genefique Eyes, Visionnaire and a 125ml bottle of BiFacil, plus Teint Miracle in shade 03 (5ml). 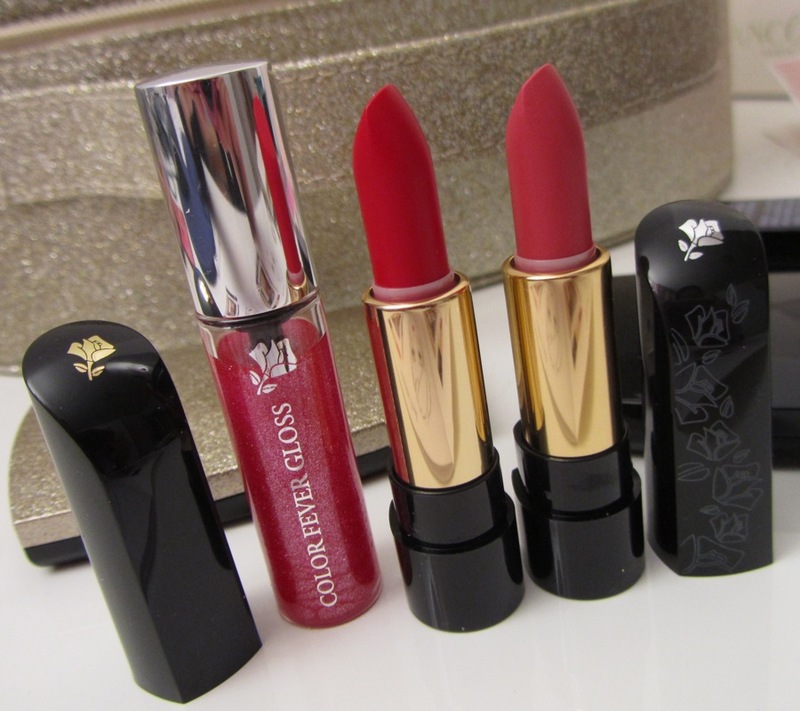 Color Fever Gloss #321, L'Absolue Nu #302 and L'Absolue Rouge #132. 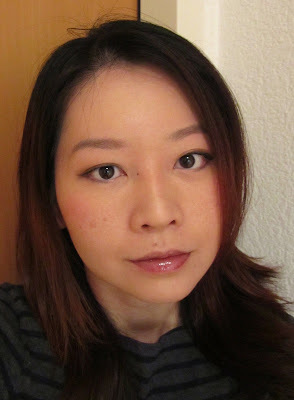 Mascaras in Hypnose, Hypnose Doll Eyes and Hynose Drama. The set for Singapore includes a full size Hypnose Doll Eyes instead. 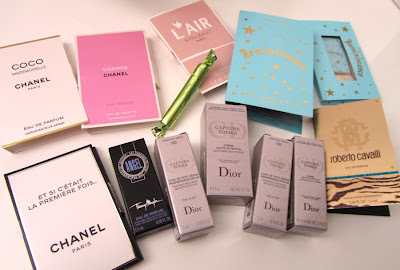 The experience was further sweetened by the kind SA who stuffed my bag with a generous bounty of samples. 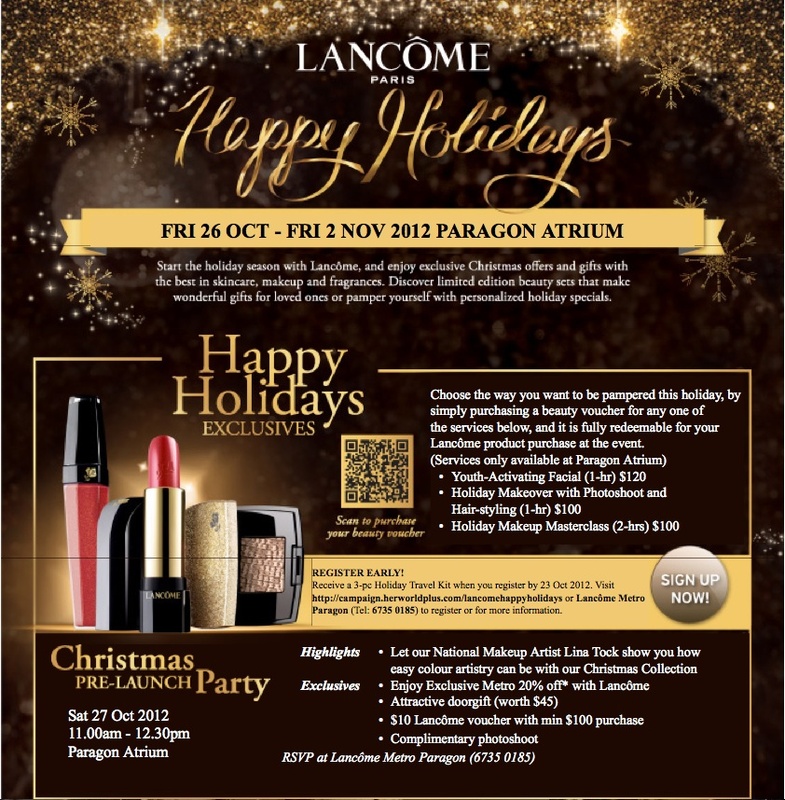 Edited to add: Event info for Lancome Singapore below.